Arriving here, we were greeted by a cold lady. She took us to our room and would not return our passports. We got to the room and realised it was not the one we had booked. I went down and spoke to her, showing her my Agoda booking confirmation saying we had booked the superior room and the price we had agreed on Agoda. She then opened a folder with a file saying I'd book a standard room on booking.com. I told her no, and once again showed her the Agoda confirmation. She then told us we could move to the room we originally booked but would be charging us higher. I told her I'd be paying the price I'd confirmed on Agoda for the room and left. The new room was slightly nicer, however the shower did not work AT ALL, and the two towels that were left with us were rock hard and did not seem clean. There was also a dirty towel on the floor infront of the bathroom acting as a bath mat. The wifi on the second floor was also turned off. I would not stay here again, and would not recommend it. The location was suitable but noisy. At the end of our visit when we went to pay we tried to pay the ammount that Agoda set but they would not accept and charged us much more. Cheap, near the center, near Bui Vien street. Clean , nice staff. We stay in 2 night, but the second day, they made up room not good. Dirty bathroom upon arrival with hair and soap from previous guests, luckily they left bleach to clean it. Also bedsheets with stains, single size quilt for double size bed to be used by a couple and very small, old/thin towels. Requested a clean, but only towels were changed. Only one girl that spoke English, didn't see her anymore after check in so couldn't explain about dirty room. Location is very central, air con worked well and dark curtains to block out light. 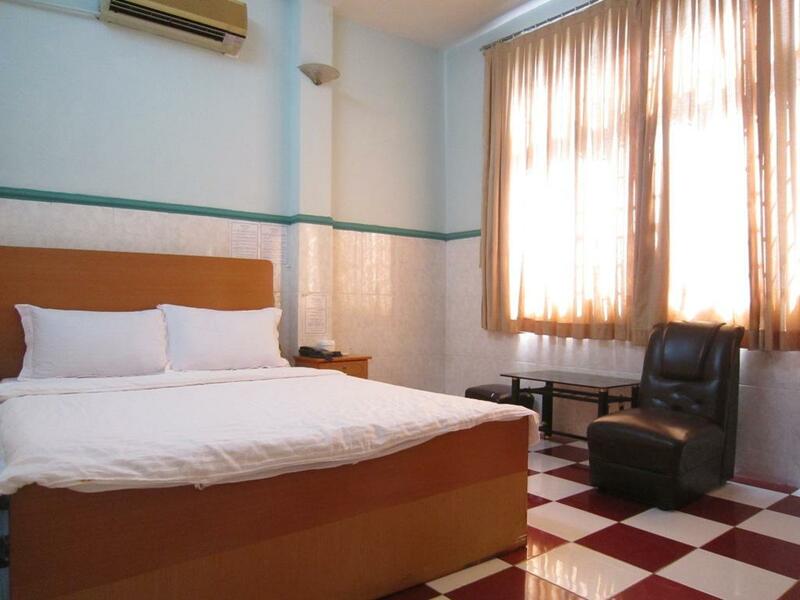 This is really good location, nearby Bui Vien str. at Dist. 1 We book 3 nights but no continuity. We had been 2 nights, left 1 day then came back afterwards for 1 day. However, they had not changed 2 towels in this room. We feel that they did not make anything during that day. Maybe we will not come back later. For $13 this place is well worth it! 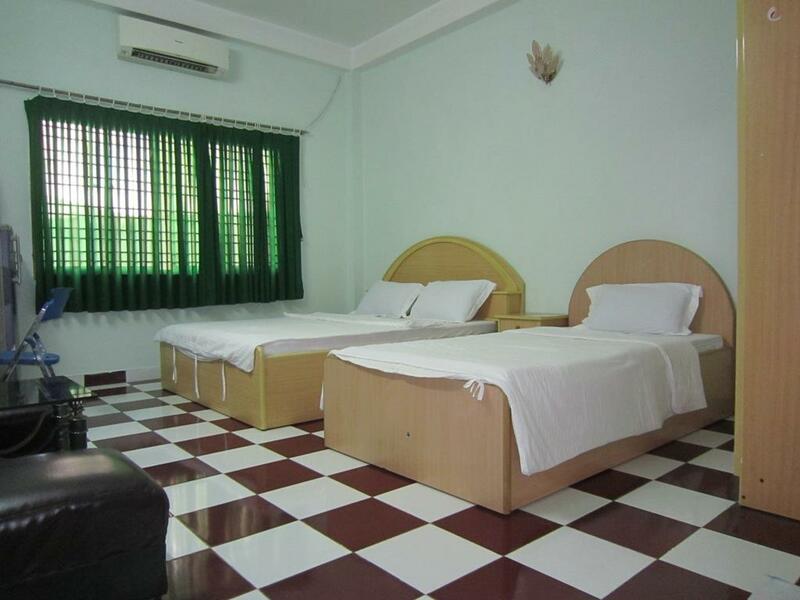 The room was spacious and bathroom was clean with hot water. My favorite part was the vanity! No breakfast included but for the price, that was fine. This is a hotel and not a hostel so don't expect any kind of atmosphere. It was great for a good sleep with some peace and quiet. The room is not bad. 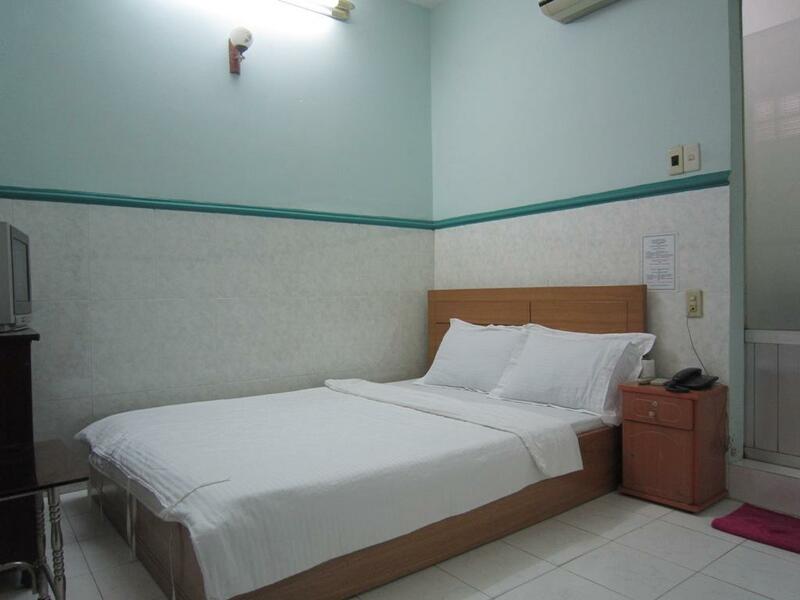 The location is good not far away from the bus station. The elderly reception is nice, but the younger ones need to learn more customer service. Overall stay is good for the price. There are many local food nearby and a real wet market that sell everything you need. Stayed here for 4 days. Couple in early 30s travelling so looking for cheap enough accommodation and not very picky. Hotel great location run by very nice family that we're very welcoming. Felt very safe leaving stuff there. Would stay again. Quite lovely, the staff are very helpful and lovely. The location is excellent, near food, downtown, parks, bars. It is quiet, good for sleeping any time of day. The owners are very friendly. My day has been very good. Really great hotel, even though they did not provide any toiletrist and iron, but they treat us so well. They provide us with hot water, bananas, tell us how to treat our belongings when we were outside. The staff is amazing evebthpogh they can't speak english very well but they try really hars to ubderstand us. Then finally, we have to use body language to talk to them. And its work very well.